Justice did not materialize in Oakland for Oscar Grant, just as it is delayed and denied for millions of victims of Amerikkka. The BART pig who killed Grant, Johannes Mehserle, was given the lightest sentence possible short of acquittal, involuntary manslaughter, and the jury rejected the more serious charge of second degree murder. This despite the fact that the shooting was caught on camera and the pig had claimed he was reaching for his taser and not his gun when he shot Grant, who was unarmed. 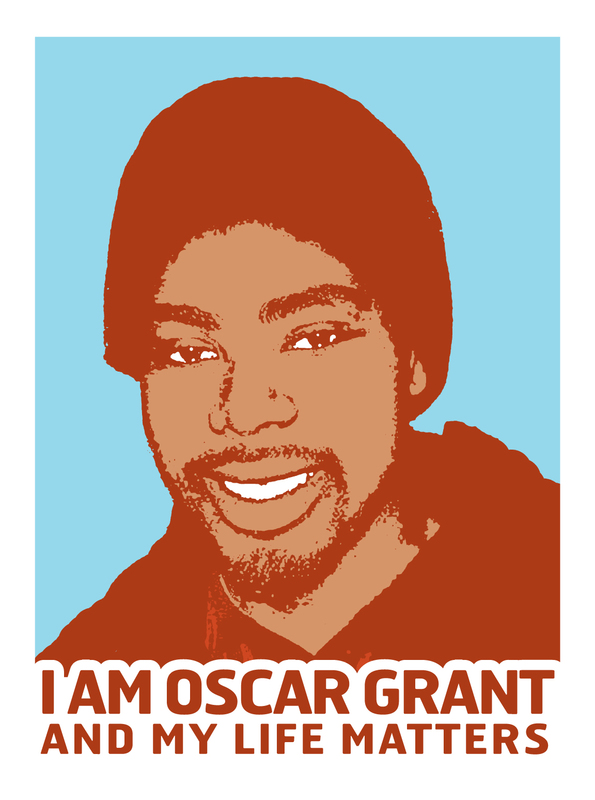 Oscar Grant is one of several non-white people killed or brutalized by cops, almost all of whom never get convicted. The fact that the pig got even manslaughter is surprising, only after going to trial following much publicity from being filmed. Amerikans supposedly pride themselves on being a nation of laws, but look the other way when the law attempts to bring Amerika accountable. There was no convictions with the Rodney King beating in the 1990’s. Recently pigs killed Aiyana Jones with no one being brought to trial. The cases of pig brutality in Amerika are endless. Abroad military troops commit vast atrocities and are never brought to justice. Despite the photographic evidence at Abu Gharib hardly any of the perpetrators were brought to trial. And recently a video of a massacre by Amerikan troops was brought to light throught the Wikileaks site, with no one hurrying to prosecute. Often in these cases the Amerikan populace comes to support these pig cops and troops. It is considered sacrilege to question the police and military. Even Barack Obama came under heat for saying that the pig who arrested Henry Louis Gates “acted stupidly.” He was forced to apologize and invited the pig to the White House for a beer. No matter how much mass murder Obama does for the empire, criticizing cops no matter how mildly is frowned upon. Mao Zedong once observed that political power comes from the barrel of a gun. The Amerikan power that its citizenry wallows in comes from the vast weapons it has and uses. The police and the military of Amerikkka are the shock troops that keep that imperialist system of exploitation running. They bring terror to the populations they oppress, and millions fall victim to the system they enforce. Justice in turn will come to Amerikkka by the oppressed people of the world bringing it to them in turn. It is right to rebel against all reactionaries!